If you’ve been away on holiday, welcome back! C24 Towers is alive with excitement at present. Nick and I are really chuffed that so many of you are keen to come to our free Museums at Night / Connect10 briefing sessions at the end of the month – which will now feature artists who took part in Connect10 in May sharing their experiences. The London session on Monday 23 September is now fully booked, but you can join the waiting list here. There are still some free places available at the Birmingham briefing session at Winterbourne House on Thursday 26 September and the Bradford briefing session at the National Media Museum on Friday 27 September. 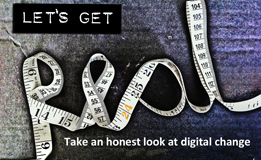 We’re looking forward to Culture24’s conference in our home town of Brighton on 16 September, Let’s Get Real: an honest look at digital change. Meet the speakers and see the full programme, and find out more about the Action Research Project which forms the background to the new report we’ll be launching. Find out who else is coming and get yourself a ticket here: https://letsgetreal2013.eventbrite.co.uk/ – and if you come along please say hello! I’ll be handling the front of house, and Nick will be stage managing. Finally, I was asked to pick out my top ten unusual museum events from the Heritage Open Days programme, but it simply couldn’t be done – there are so many intriguing happenings to choose from over the 12-15 September! From cult leaders to windpumps and tea parties through the ages, here are my Top 14 unusual museum highlights from Heritage Open Days. This entry was posted in Uncategorized and tagged Behind the Scenes, conference, Connect10, Culture24, event. Bookmark the permalink.